See the fancy handle-less milk cup. See the milk drop on the table that will need cleaning? 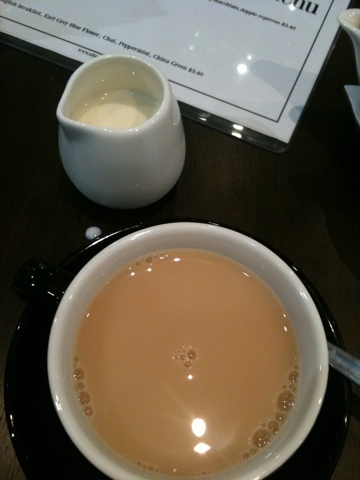 It’s almost impossible to pour the milk into the tea without spilling milk everywhere. So instead of having customers like me drink and leave. Every table needs to have the milk cleaned off before the next customer comes along necessitating staff to clean said milk. They must be spending thousands in wages in cleaning costs instead of serving customers. My current reading is Universal Principals of Design. Great book.